Thomas Harold Flowers is the technical genius, created the world's second electronic computer (after ABC of Atanasoff) and the world's first electronic programmable computer—Colossus. Flowers was born at 160 Abbot Road, Poplar, in London's East End on 22 December 1905, the son of a bricklayer. He seems to have been a practical child, when told of the arrival of a baby sister he declared a preference for a Meccano set (Meccano is a model construction kit comprising re-usable metal strips, plates, angle girders, wheels, axles and gears, with nuts and bolts to connect the pieces. It enables the building of working models and mechanical devices). After school, he embarked on a four-year apprenticeship in Mechanical Engineering at the Woolwich Royal Arsenal and went to night classes to study successfully for a degree in Engineering from London University. After graduation from London University in 1926, he joined the telecommunications branch of the General Post Office (GPO), which was then responsible for all telecommunications within the UK. In 1930 he moved to Dollis Hill in the north-west London from 1930, the GPO's research station, working on experimental electronic solutions for long-distance telephone systems. It was here that he began experiments with early electronic systems that would form the basis not only for Colossus, but also for advanced long-distance telephone systems, that developed into modern direct dialing. By 1939, he was convinced that an all-electronic system was possible, despite some problems with the reliability. This background in switching electronics would prove crucial for his computer design in World War II. In 1935, he married to Eileen Margeret Green and the couple later had two children, Kenneth and John. After the war, Tommy Flowers returned to the Telephone Research Establishment at the GPO. He was awarded 1000 pounds for his war work, barely sufficient to pay off the debts that he had run up while developing Colossus. He was also honored with a MBE, thought now by some to be scant reward for war-winning work. Although he proposed making a digital electronic exchange, he was not successful because he couldn't convince the management of their worth nor tell them he had already worked on such systems. He remained there until 1964, then worked for International Telegraph and Telephone until his retirement in 1969. 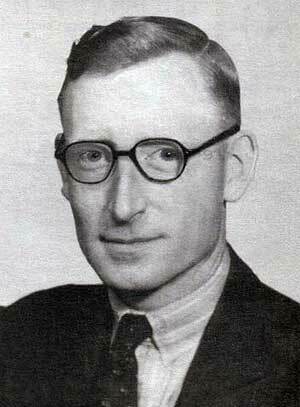 His work was not acknowledged until 1970 as he, and others, were bound by the Official Secrets Act to remain silent. All his family knew was that he was on some secret and important work. Recognition came after the release of the Colossus information but much too late to give Tommy any real benefit. He received an honorary doctorate from Newcastle University in 1977, and another from De Montfort University in Leicester. Flowers received an honorary doctorate from Newcastle University in 1977, and another from Dc Montfort University in Leicester. More was planned. It became known that he was being considered for a knighthood, possibly in the New Years Honours List. Sadly, Tommy Flowers died from heart failure at home Mill Hill, London on 28 October, 1998, at the age of 92.